The Tech market is really, really tough. As a resident of the Bay Area, I don’t exaggerate when I tell you tech companies are popping up daily like weeds. And that’s not exclusive to our Tech Mecca, either. You need content that addresses your audience in each part of the funnel, and content that drives them to the next stage. Your content needs to be THE upper crust of all available content in your space. I’m a CTO for a mid-market SaaS provider in Southern California. Our AWS database was recently breached, exposing all of our clients’ personal and billing information. Needless to say, I’m lucky I kept my job. Quick summary – I need a page that concisely explains their solution so that I can quickly filter out bad fits. Reputation – I need social proof that the solution works. Examples – I need to see how the solutions works, and case studies. I start with a quick Google search. Good lord. Where do I start? 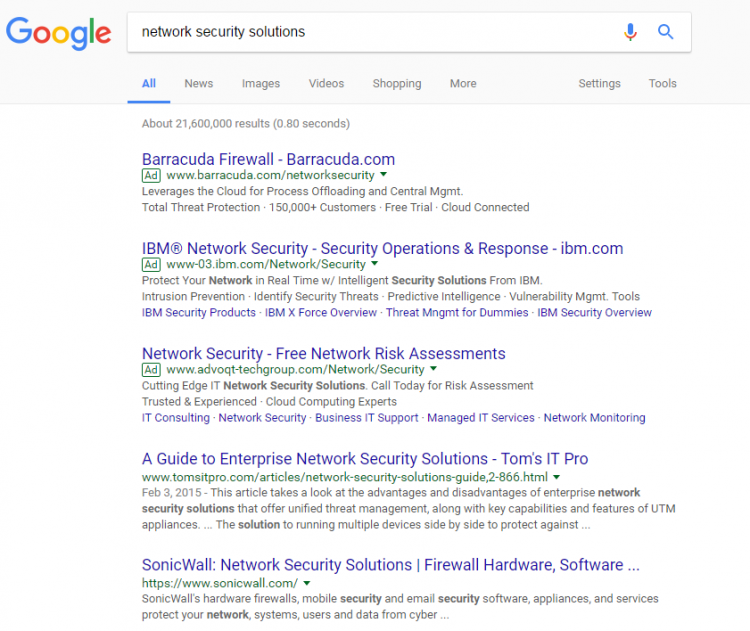 I open up SonicWall’s solutions page and find a landing page for Network Security. Perfect, this is exactly what I need. Okay, I’m at the bottom of the page, but I can’t find any documentation about this product’s practical application. Will it even plug the security hole that caused my breach? It wants me to contact them, but I don’t have time to talk to a sales rep at this stage. A simple case study would suffice. I’ll quickly look through the resource center… Nothing. This doesn’t meet my minimum requirements, next. Clearly this story was simplified, but not by much. The website served up excellent top-of-funnel content, but completely neglected the mid-funnel step before launching into a hard sell. As a result, they lost a sales opportunity. They failed at delivering the right content, at the right time, to the right audience. A small oversight at a huge cost. We have a client in a similar space: cybersecurity. The difference in success is that our client addressed the mid-funnel to drive brand awareness and that resulted in earned leads. Our project manager recognized this content gap as an opportunity for the client. As such, Brafton produced a comprehensive eBook that addresses why cloud security vulnerabilities exist and how to protect against threats to the cloud. This asset was gated behind a form fill and then displayed on the homepage, in the resource center and within a dedicated blog post. We also promoted it on the client’s social networks. 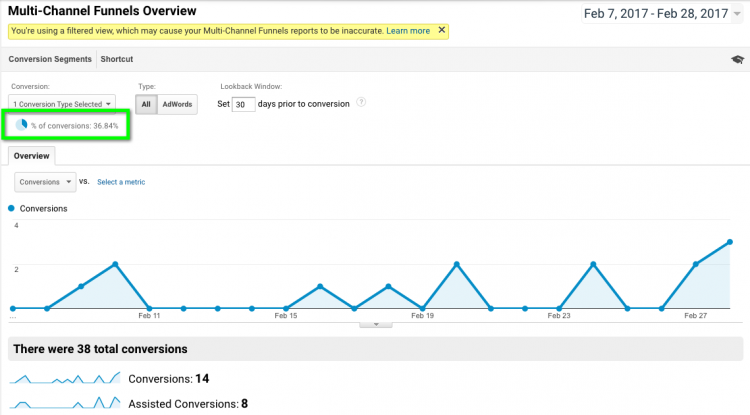 Over three weeks, the asset contributed 37 percent of site conversions (14 downloads). Going back to our “right content at the right time” model, the client generated 14 mid-funnel conversions (eBook downloads) and 18 bottom-of-funnel conversions (“contact us” or “request a trial”) during this time period. One of these eBook-downloading visitors moved on to a bottom-of-funnel (request a trial) conversion. Top of funnel, pushed to middle of funnel, pushed to bottom of funnel. Going back to our story of the CTO with the heightened sense of urgency, the numbers prove our point. About 74 percent of all visitors who make a bottom-of-funnel conversion do so on the first day they interact with the website. So what does this mean? You have to make an impactful first impression, and you have to have to assume a visitor is not going to work very hard to find the pieces of content they need to make a decision. So don’t make it hard for them. 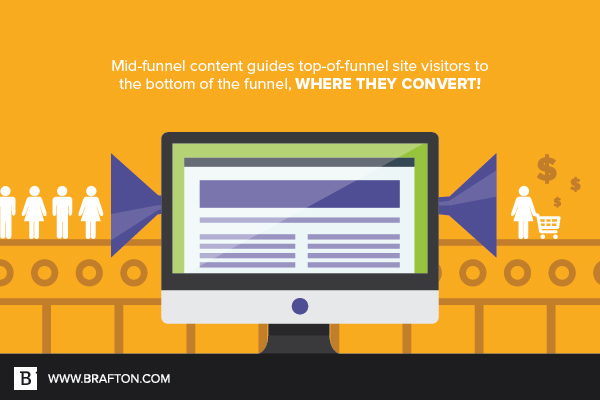 Close the gaps with mid-funnel content.